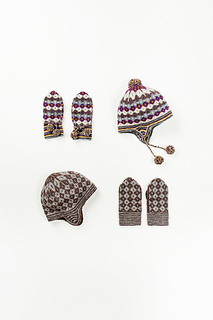 Get ready for winter fun with bright, warm mittens and a matching cap. 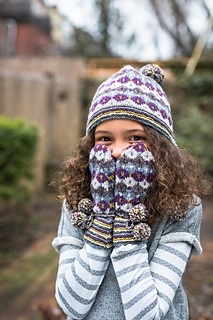 The Pinwheel set can be customized to any taste—work it in a binary palette or go exuberant with a paintbox of hues; add cords and pompons to snug the cuffs and decorate the hat or keep them simply unadorned. 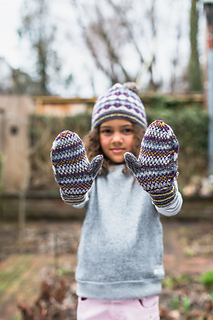 The mittens are given in a single child’s size; the hat pattern is written in small and large children’s sizes. 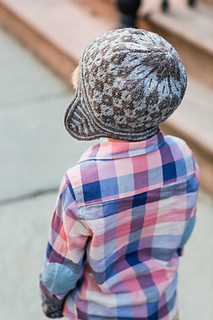 Knit in Loft and charted separately for two colors or five colors, Pinwheel is a good choice for those new to stranded colorwork or for veterans with a stash of remnants to use up. 32” circular needle can be used instead of DPNs if using the Magic Loop method for working small circumferences in the round. 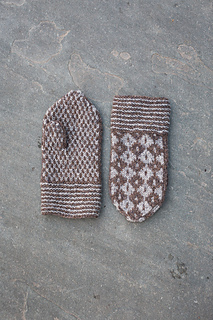 Please note: the stitch patterns in this design are charted only.